In John Stott’s classic Between Two Worlds, he depicted the preacher as a man positioned between two civilizations—tasked to bridge the ancient world with the modern one, and the ancient text with modern hearers. Stott argued that the preacher is a bridge, and if he is to be effective, he must be firmly grounded on both sides of the canyon. The preacher must be a careful student of both worlds; exegeting both his text and his times. To accomplish this, Stott contended the preacher must ask himself two questions: what did the text mean then, and what does it say now? The latter answer, of course, rooted in the former. Stott’s paradigm speaks to our ministry moment as well. In the year 2016, the American church faces unprecedented, and often unpredictable, cultural challenges. The American church seems placed in the middle of a never-ending session of bull-in-the-ring, with cultural pressures—especially related to gender, sexuality, marriage and family—coming from anywhere and at any time. The preacher’s task, therefore, to bridge the ancient world with the modern is an urgent one, and increasingly so. Stott’s depiction, though offered more than three decades ago, is a helpful reminder of the preacher’s fundamental task—to bring the text of Scripture to bear on the lives of his hearers. But, if one is committed to biblical exposition, and especially to lectio continua, or, we might say, sequential, verse-by-verse exposition, than to be a man between two worlds is occasionally to be a man in tension. The stauncher one’s commitment to lectio continua, the more heightened the tension at times will be. The predicament is clear. Expository preaching, and especially sequential, verse-by-verse exposition is, at times, an uneasy partner with the prophet’s burden. These passages, among many others, provide a rationale for biblical exposition, but they do not define it. In fact, a consensus definition for expository preaching proves stubbornly elusive. Consequentially, and regrettably, the phrase “expository preaching,” has become quite elastic, with much preaching getting crammed under that heading though it bears little resemblance to more traditional marks of biblical exposition. 1. The necessity of accurately interpreting the text, in light of its immediate and broader, biblical context. 2. The necessity of deriving the point of the sermon and the sermon’s points from the text. 3. The necessity of deriving the sermon’s application from the text and for the text to be brought to bear on the congregation. 4. More tenuously, the priority of lectio continua, or sequential, verse-by-verse exposition. Condensing these marks, we might simply define biblical exposition as, “Accurately interpreting and explaining the text of Scripture and bringing it to bear on the lives of the hearers.” Again, the constants within expository preaching are: accurately interpreting the text, deriving the sermon’s main point and sub-points from text, and bringing the text to bear on the congregation, preferably through lectio continua. Even this minimalistic definition of expository preaching necessitates subordinating the sermon’s application to the sermon’s text. The preacher does not preach from the text or on the text, he preaches the text—thus limiting the sermon’s application to the point of the passage preached. The tension, therefore, shows up in most every form of exposition, but especially through sequential, verse-by-verse exposition. It also forces the question: how does one remain faithful to the text, and to sequential exposition, yet adequately engage pressing cultural concerns impacting the congregation? Conversely, the less committed one is to sequential exposition, the less the tension. A topical preacher just preaches on the desired topic. A loose expositor just manufactures application from the text, even if there is no direct textual connection. The wager of lectio continua is that over time the accrued week-to-week benefits offsets the weekly adaptability and flexibility offered by topical preaching. The upside of sequential exposition, though, does not obviate the periodic tension the expositor feels. In my early years of pastoral ministry, I was committed to preaching through books of the Bible. Generally, next week’s sermon—and every week’s sermon—was pre-committed. That was the conviction with which I began my preaching ministry. It is a conviction to which I stubbornly cling today. 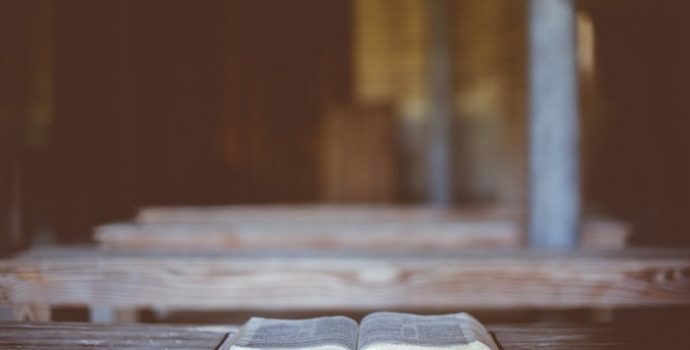 I would periodically surface to select the next book of the Bible to preach through, but week-to-week, there was little suspense in my life over what I would be preaching. My text, and thus my sermon and its application, was preselected. Father’s Day, Mother’s Day, July 4th or other national holidays were irritants, as I knew many congregants expected the sermon to reflect the calendar in this regard. I knew it would take time to wean my people off of this expectation. Christian celebratory days, like Christmas and Easter, were easy, as they were days for believers to focus uniquely on Christ. Thus, I was happy to plan my preaching schedule with these days in mind. However, the vexing occasions for me were days like “Right to Life Sunday,” or when issues of sexuality, marriage or family came up in the culture in a way that truly merited—even necessitated—focused attention from the pulpit. Or, and most dramatically, when an adult entertainment store opened in proximity to my church, and the zoning regulations and city council wrangling which accompanied it drew the congregation’s attention. I simply had to address it. This third category left me conflicted. I was committed to biblical exposition, but I had a nagging sense that I should be periodically instructing my church on the great social urgencies of our day. Conversely, and of additional concern, I witnessed some ministers hiding behind their commitment to expository preaching. They professed readiness to preach boldly on issues of life, gender, sexuality and marriage and to reprove and rebuke with all authority when they come across these issues specifically in the text. They just managed to never come across them in the text. Every sermon is delivered in a context, situated in a cultural moment with space and time realities. Preaching is not a sterile, or clinical, act. That is why seminary preaching labs can only accomplish so much. They are artificial, synthetic settings. In fact, apostolic preaching was strikingly contextual. Peter and Paul heralded the foundational truths of the Christian faith like the death, burial and resurrection of Christ, and salvation by repentance and faith. Yet, as they preached they engaged their audiences. This follows suit with the New Testament Epistles, each of which are written to address specific concerns, doctrinal or otherwise, facing believers. Perhaps the preaching of the Protestant Reformation furnishes the best example. As a case study, we can look to Uldrich Zwingli, the one who rediscovered lectio continua. Before Calvin was in Geneva preaching from the New Testament every morning and the Old Testament every evening, Zwingli was recovering lectio continua in the Grossmunster. Zwingli, citing the pattern of Augustine and Chrysostom, ascended his Swiss pulpit in Zurich on January 1, 1519, and preached from Matthew 1:1, beginning his pattern of lectio continua, and in so doing began the Reformation in Switzerland. Zwingli argued that the best way to reform the church was through preaching the whole counsel of God. The Reformers, including Zwingli and Calvin, applied their sermons to the pressing issues facing the Reformation, including social challenges and civic disruption. In fact, to read their sermons is to be confronted with the throes of the Reformation and all the drama of their age. What is more, they occasionally interrupted their lectio continua to engage pressing civic and church concerns. Therefore, we stand on solid biblical and historical ground to engage cultural concerns through our preaching, but knowing when to actually interrupt lectio continua is an altogether different matter. The preacher must always be engaged in three realms of exegesis—first the text, then his times, and finally his congregation. Preachers are not called to be politicians, but they are called to be alert. As the preacher exegetes his text and his times, he sees how the two intersect, or do not intersect with his congregation. Questions like these help us determine the parameters of application. Again, biblical exposition must derive its application from the text preached. If the text does not speak to the pressing cultural concern, it is better to change to another text that accurately relates what you intend to preach than to bend the text to fit your momentary need. The text is the primary realm of exegesis, but it is not the concluding one. The preacher must also recognize how the culture is influencing his congregation and what, if any, are the pressing, disrupting concerns of the day. Finally, the preacher must always be exegeting his own congregation. The best preaching takes place with full awareness of congregation and culture, and the preacher must be familiar with both. The temptation, most likely, will be to interrupt sequential exposition too frequently, not too infrequently. Therefore, by way of analogy, the preacher should think of himself something like an insurance adjuster, who arrives in the aftermath of, say, a car accident, and surveys the damage. He analyzes the wrecked automobile, photographs and documents the damage, and writes out an assessment of how much it might cost to repair the vehicle. The preacher functions something like that. He assesses the culture and his congregation, both of which are ever changing. He determines if the concern is so great that he should consider engaging it. If the answer is yes, he then discerns how best to engage it. How does the preacher gain clarity in his assessment? This will be examined in part two of this article series. John Stott, Between Two Worlds (Grand Rapids: Eerdmans, 1982). Hershael York and Bert Decker, Preaching with Bold Assurance: A Solid and Enduring Approach to Engaging Exposition (Nashville: B&H, 2003), 11. Fantastic explanation and application of expository preaching. If preachers were to commit to the above four summary statements of expository preaching, then churches will be equipped for any cultural issue and frankly, sermons would be greatly enhanced.